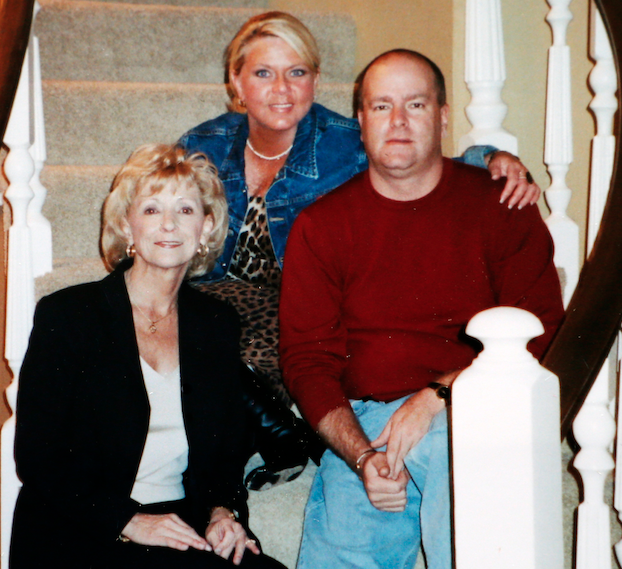 Dena Kay Brasfield, center, poses for a family portrait with mother Genevieve and brother Curtis several years before her 2010 death from a prescription drug overdose. Genevieve Brasfield was in the Walmart parking lot when she got a call from her daughter Dena Kay Brasfield. A blizzard was headed for Oklahoma City, and Genevieve was there to stock up on supplies. 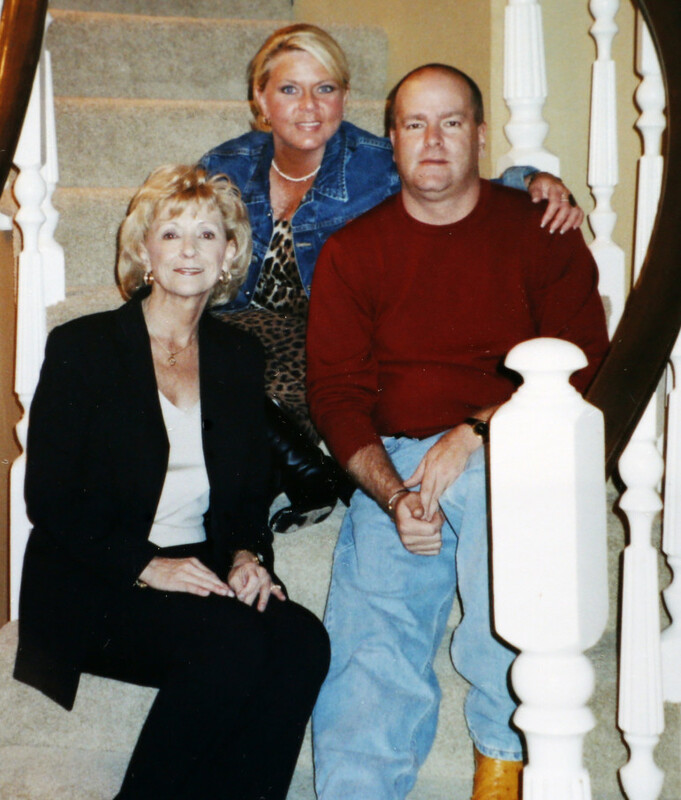 Two days later, in the early hours of Jan. 27, 2010, Brasfield died in her sleep at the age of 40. Her body was found in bed fully clothed, on top of a heating pad. It was still turned on. Oklahoma City police found prescription pill bottles in her nightstand. The medical examiner ordered a blood test, and determined she had died from a combination of two addictive narcotics: alprazolam, a potent anti-anxiety drug, and oxycodone, a powerful opiate painkiller. Both drugs were prescribed to her two days earlier by Dr. Cecil Allen Moore, along with the sleeping medication zolpidem, according to investigative records. Moore wrote the prescriptions during Brasfield’s first visit to his office at the Vista Medical Center in southwest Oklahoma City. Before that, she had been getting alprazolam and various painkillers from other doctors for treatment of anxiety, panic, back pain and migraines. Brasfield, an adopted child, was described by family members as a fun-loving woman who enjoyed nothing more than making other people laugh. She loved clothing and excelled at retail sales. At the time of her death, she held two jobs at Oklahoma City clothing stores. She also had a history of prescription drug abuse. Family members said it apparently began sometime after the 1995 death of her father, with whom she was very close. She experienced a worsening cycle of severe headaches, back pain and anxiety. In 2009, one of her doctors wrote her a blunt letter after he discovered she had been obtaining controlled dangerous substances from multiple physicians. The doctor told her he was terminating their physician-patient relationship. He recommended she seek help from an addiction medicine specialist or enroll in a rehab program. He included a 30-day morphine refill with his letter so she would not experience withdrawal symptoms. For Brasfield, that meant finding another pain doctor. She eventually wound up at Vista, where Moore was practicing. On her first visit, Moore prescribed her alprazolam at a dosage rate of 8 milligrams per day. That’s well above the recommended maximum dose for most anxiety disorders and far more than the 3 milligram dose her previous doctor had authorized. The oxycodone prescription Moore wrote was for 180 milligrams a day. That’s considerably above the typical range recommended for chronic pain patients, according to Dr. Hal Vorse, an Oklahoma City addiction specialist who reviewed Brasfield’s prescribing information. It is not known whether Moore checked Brasfield’s prescribing history on the online Prescription Monitoring Program website. If he had, he would have seen that she had been simultaneously filling prescriptions from two other doctors before she came to him. Brasfield paid Vista $150 for her office visit with Moore. She filled his prescriptions the same day. She had no way of knowing that she would be Moore’s first known patient casualty. Over the next 19 months, seven more of Moore’s patients died from overdoses of drugs he had prescribed them. Only two other Oklahoma doctors have been linked to that many overdose deaths in recent years. The Oklahoma Board of Osteopathic Examiners began aggressively investigating Moore’s practice in early 2012 after receiving over-prescribing complaints from other patients, relatives and pharmacists. It didn’t find out about the eight deaths until investigators seized his patient files. On Feb. 12, 2012 – more than two years after Brasfield’s death – the board suspended Moore’s license to practice, noting that his actions “constitute a serious danger to the health, safety and well-being of the public.” Four months later, the board revoked his license permanently. Moore, whose Twitter account identifies him as a medical doctor and an English professor, could not be located for comment. A security guard at a gated community in Oklahoma City where Moore previously lived said he disappeared about two years ago and left no forwarding information. The guard said bill collectors call regularly trying to find him. Moore’s former attorney, Johnny Lombardi, declined to comment on the disciplinary action against Moore and said he is no longer in contact with him. Brasfield’s family members said they know she was partially to blame for her history of prescription drug abuse, but they believe Moore and other doctors before him bear some responsibility, too. On that morning in January 2010, Genevieve Brasfield arrived at her daughter’s house as the police were finishing their investigation. Dena’s body was still in the bedroom. The door was shut. Oklahoma Watch partners with The Oklahoman to look more deeply at Oklahoma’s struggle with prescription drug overdoses.